After seeing so many youtubers film monthly videos about their favorite products and must-have items, I thought it would be fun to put my own spin on the idea and start a new series dedicated to it. Since it's the middle of August and I couldn't wait until September (mostly because the majority of these items are summery), I thought now would be a good time! Below you'll find a mix of workout wear, delicious eats and pretty accessories. I've been drinking these smoothies every once and a while for a few months now, and I must say, you would never know they are packed with greens, fruits and veggies! It isn't the number one green smoothie health wise, but it is really delicious and a great introduction to the world of green smoothies. Before I headed to New York, I bought this clutch on a whim when it was 30% off. It's the perfect size for a night out and literally looks great with anything! As a small bag for summer, this clutch is the best I've found. After using my previous Nike Free Runs for two years and nearly wearing off the entire bottoms, I decided it was the right time to invest in a new pair. Since they are so flexible and fit my feet perfectly, I bought the same kind but in the newer version, and they are the prettiest color. When I picked up this roller ball in Florida a few months ago, I had no idea it would be one of my regular scents. Of course, I may be biased considering it's a clementine citrus smell ;) I definitely recommend this one if you're in need of an on the go bottle! I'm not lying when I say this is the softest tank I own (so soft that I often sleep in it, shh!). 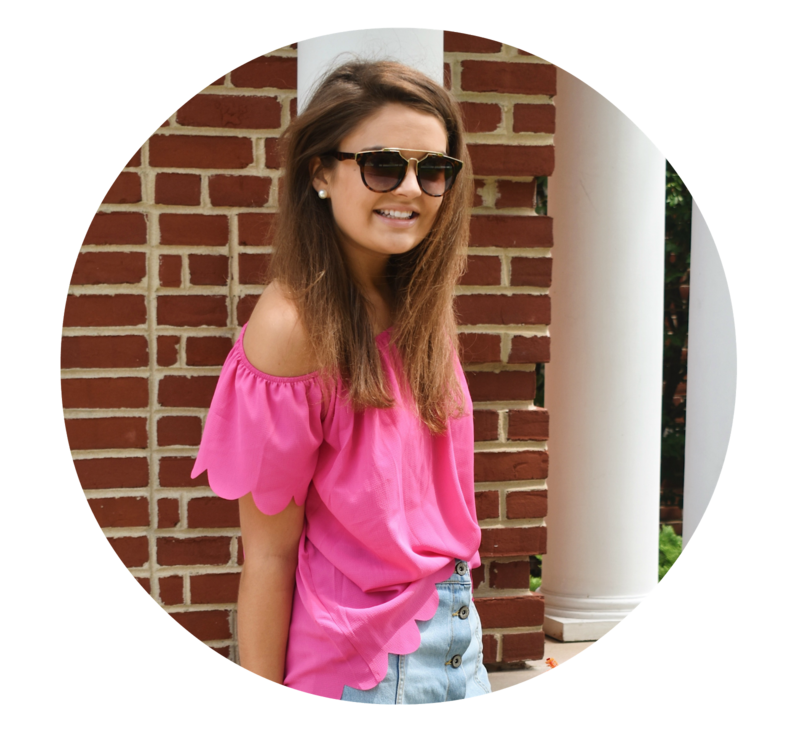 Whether I'm on a run or simply blogging at my desk, this top has been my go-to, not to mention it's in a gorgeous hot pink color. Click the links below the image to find these items! Now tell me in the comments below: what have been your favorites this summer? I smelled the Tory Burch perfume for the first time this weekend! It is amazing! I love your mid-August picks! Love this! I have a YouTube channel and frequently watch YouTube videos so I love monthly favorites. Love your spin on it and especially really like the workout gear you featured!